The Preliminary Draft Melbourne Airport Masterplan 2018 projects a near doubling of flights in 20 years from 34 million to more than 65 million passengers per year, and aircraft movements to increase from 238,000 to 384,000 movements per year, and freight also expected to almost double. “Just greening airport infrastructure is no answer to limiting emissions from aviation. We need a moratorium on airport expansion to limit aviation emissions growth.” argued Englart. Ultimately, an uncomfortable and familiar conclusion for aviation remains: a moratorium on airport expansion at least in wealthy nations is one of the few options available to dampen growth rates within a timeframe befitting of the 2C target. 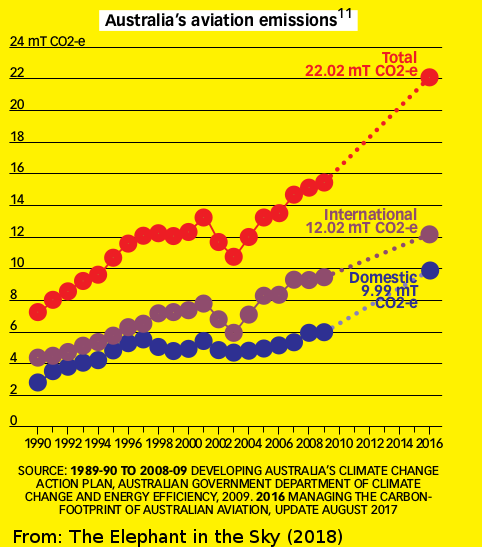 “Controlling and limiting carbon emissions is part of the duty of care of both the Federal Government and the State Government, and fully within their joint powers to enforce.” said Englart. “The problem has been pushed to totally inadequate individual solutions like personal carbon offsets when it is a systemic problem with the normalisation of air travel.” argued Englart. “The Airlines flight ticketing prices fail to reflect in any way the environmental cost or environmental damage being inflicted.” he said. “Climate Action Moreland therefore calls for a moratorium on expansion of the Melbourne Airport under the Preliminary Draft Melbourne Airport Masterplan 2018.” concluded John Englart. Submissions are currently open on the Preliminary draft Masterplan for Melbourne Airport. The Consultation period for submissions ends at 5pm on 8 October, 2018. 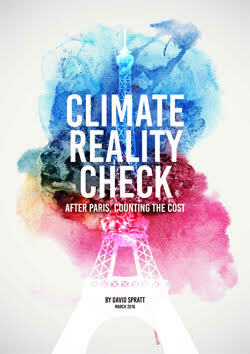 Note: John Englart attended as an NGO Observer for Climate Action Moreland and the Climate Action Network Australia (CANA) the United Nations Climate Change Conferences in Paris in 2015, Marrakech in 2016 and Bonn in 2017. He reported on shipping and aviation emissions at the Paris #COP21 conference. Read an account of the Community consultation meeting with Melbourne Airport at Gladstone Park by John Englart from Climate Action Moreland. 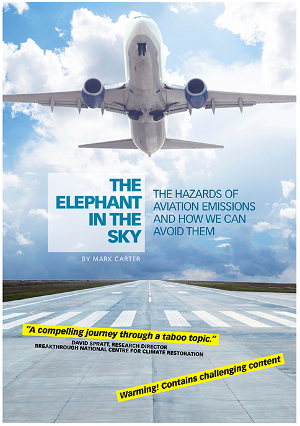 Read The Elephant in the Sky by Mark Carter highlighting aviation emissions from an Australian perspective. Entry filed under: aviation, media release, news, transport, Victorian Government. Tags: airport, aviation, Emissions, Melbourne airport.